Adhesive Surgical Tape Strips are a hypoallergenic cloth tape that used to hold silicone sheeting in place or wherever medical tape is required. 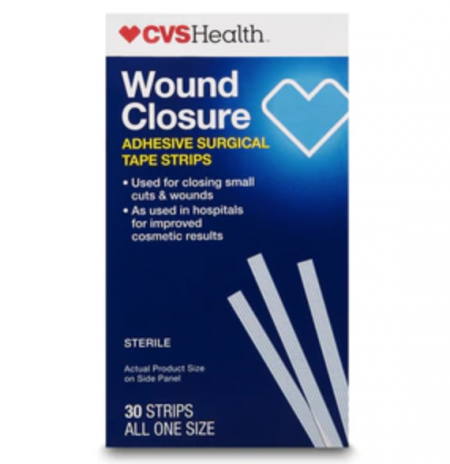 Adhesive Surgical Tape Strips are ideal for use with ReJuveness silicone sheeting. Unlike other medical tapes, Surgical Tape Strips enables easy daily application and removal. The Surgical Tape Strips stay firmly in place while remaining breathable for long-term use. Used to hold silicone sheeting in place while treating scars up to 40 years old when their condition involves discoloration, keloid, Hyper-pigmentation, lumpiness, itching, soreness or indentation. Peel open the packaging and remove the strips. Take a pair of scissors and cut the Surgical Tape Strips to the desired length. The pre-cut split removable backing allows for easy removal of the paper backing from the adhesive side. Apply the medical tape where needed.